These bookmarks are helpful reminders for annotation. 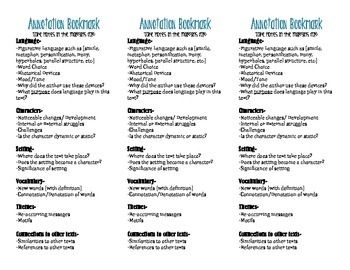 The bookmark guides students to annotate [take notes in the margins of texts] meaningfully; not just 'Oh my gosh!" or "wow". Many of the annotation 'categories' on the bookmark are aligned with Common Core Concepts.